St Barnabas Hospice Forget Me Not appeal smashes targets by receiving over 1,000 donations for iron flower display at Lincoln Castle so far. The iron, handmade flowers offer supporters the chance to remember a loved one with a Forget Me Not, whilst raising valuable funds for the charity. The flowers will be part of a three week outdoor display at Lincoln Castle running from 6th – 28th April 2019. Due to its success, the Forget Me Not display is extended for a further week, to give visitors to Lincoln Castle a chance to see the installation of 1,000 iron, handmade flowers. The collection date is now Saturday 27th and Sunday 28th April from 11am until 4pm. On the final days of the display, supporters are invited to come and collect their pre-ordered flowers from the castle to display them in their own homes and gardens. “We had high hopes for the appeal, but we are overwhelmed by the response so far. 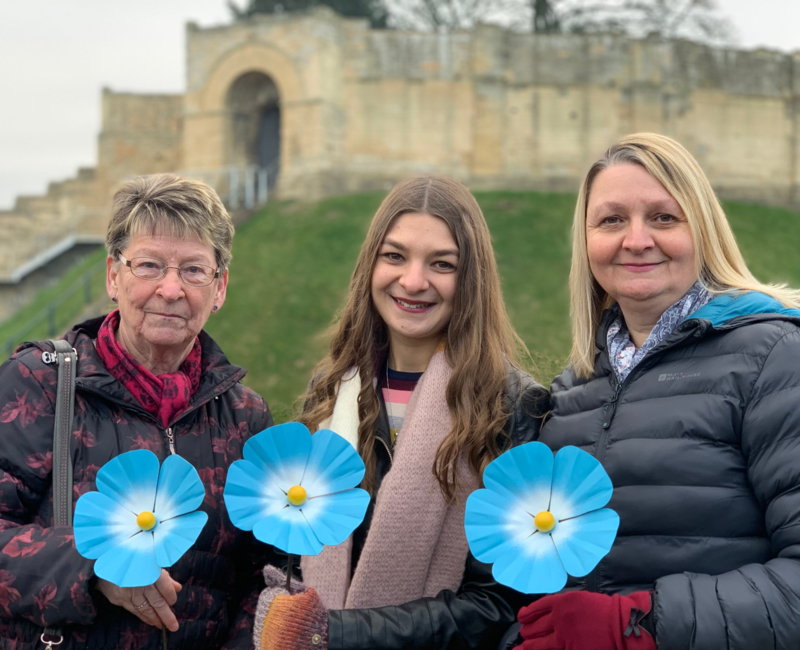 The Forget Me Not project has been a year in the planning and I cannot wait to see the final installation with more than 1,000 flowers on the embankment of Lincoln Castle. “We want to say a huge thank you to Lincoln Castle and to our sponsors Tanglewood Care Homes and Waterside Shopping Centre for all of their help and support in making this happen. I’d also like to thank Stefanos and Roz at The Old Smithy for designing and making our Forget Me Nots non-stop since January! Forget Me Not flowers are available on the St Barnabas Hospice website for a donation to the charity. All flowers dedicated after 29th March will still be available, but will not be included in the Castle display. For more information about the Forget Me Not appeal, please visit the Forget Me Not page or contact Sam Waterer, Individual Giving Fundraiser on 01522 540 300.